Personally Identifiable Information is any information that concerns you individually and would permit someone to contact you, for example, your name, address, telephone/fax number, email address or any information you submit to nbce.net that identifies you individually. This website will not collect any personally identifiable information about you unless you provide it. You can visit and browse the National Business Credit Exchange website without revealing personally identifiable information about yourself. You may also choose to disclose personally identifiable information about yourself, which may be maintained as described below. National Business Credit Exchange does not provide personally identifiable information to unaffiliated third parties for their use in marketing directly to you. National Business Credit Exchange may use unaffiliated companies to help it maintain and operate its website or for other reasons related to the operation of its business, and those companies may receive your personally identifiable information for that purpose. National Business Credit Exchange may also disclose personally identifiable information about you in connection with legal requirements, such as in response to an authorized subpoena, governmental request or investigation, or as otherwise permitted by law. The National Business Credit Exchange website’s server, or the servers of companies that are used to operate this site, may place a “cookie” on your computer in order to allow you to use the website and to personalize your experience. A “cookie” is a small piece of data that can be sent by a web server to your computer, which then may be stored by your browser on your computer’s hard drive. Cookies allow us to recognize your computer while you are on our website and help customize your online experience and make it more convenient for you. Cookies are also useful in allowing more efficient log-in for users, tracking transaction histories and preserving information between sessions. The information collected from cookies may also be used to improve the functionality of the website. National Business Credit Exchange maintains physical, electronic, and procedural safeguards to help guard personally identifiable information. If transactions are offered on the site, transaction information is transmitted to and from National Business Credit Exchange in encrypted form using industry-standard Secure Sockets Layer (SSL) connections to help protect such information from interception. National Business Credit Exchange restricts authorized access to your personal information to those persons who have a legitimate purpose to know that information to provide products or services to you and those persons you have authorized to have access to such information. Please be aware, however, that any email or other transmission you send through the Internet cannot be completely protected against unauthorized interception. National Business Credit Exchange reserves the right to modify or supplement this policy at any time. 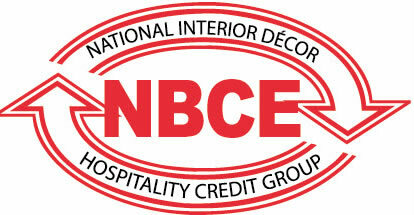 If a material change to the terms of this policy is made, National Business Credit Exchange will post a notice on its home page and a link to the new policy.